Seemingly out of nowhere, Sony has dumped an info-drop of news about its "next-generation plans" (unofficially known as the PS5) in an exclusive interview between Wired and Mark Cerny, the lead architect of the company's new console. This is the first time that Sony has publicly spoken about its successor to the PS4 which, according to Cerny, won't be out in 2019. There's a lot to dig through in the tech-heavy article, but we've mined it for the most important details. 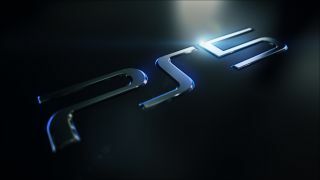 First of all, yes, the PlayStation 5 will be backwards compatible with PS4 games, it will have a disc drive, it's been in development for over four years, a number of studios are already working on next-gen games, and it'll boast ray-tracing technology (thanks to an expanded partnership with AMD, whose first-class chip software is at the centre of the PS5's internal architecture). One of the big new things that Cerny seems keen to show off with the next-gen console is its included Solid State Drive (something the PS4 doesn't have), which will dramatically improve loading and rendering times for big budget games. To prove the difference, Cerny played Spider-Man PS4 running on a developer kit of the PS5, and the open world's loading time dropped from its usual 15 seconds on a PS4 Pro to less than one. Cerny also hinted that upcoming PS4 games like Death Stranding will be multi-platform titles, releasing first on the PS4 and then the PS5 respectively. There's no word yet on when or where Sony will reveal more about the new piece of hardware (though Wired implies you won't hear anything at E3 2019), but this article suggests the tech titan is finally kicking off promotion for the future of the PlayStation Nation, so stay tuned for GamesRadar for all the latest news as it arrives. If you're more interested in Xbox Project Scarlett, follow the link, or watch the video below for more on the biggest new games of 2019 on the way.